We have also sent letters and attached the letter we wrote to the A.G. to many groups, including the Detroit Chapter of the NAACP, MI-CURE, AFSC, and CAPPS. We are looking to send that letter to all the Senators and House members. We have also set up a Facebook page to consolidate the family members. 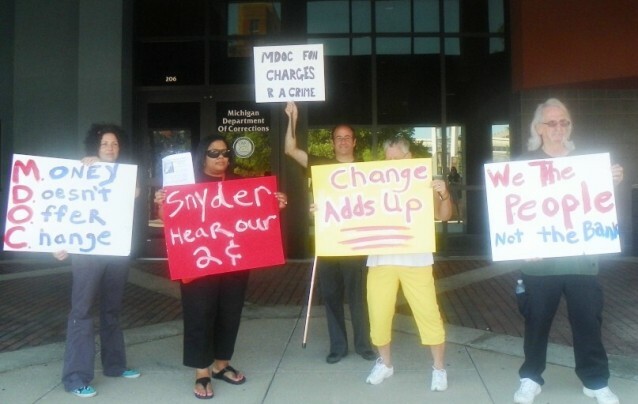 We are determined to fight this money grab by the MDOC. Now is not the time to being Double Taxing those who have loved ones in prison. This is the time we need to focus on building family bonds, not destroying them. I even set up our legal team here to fight this fraudulent Special Equipment Fund. We realize that this will not be undone until we take legal action. Yet, after watching the Arab Spring in the Middle East, we realized the importance of using Social Media to spread the truth, grow our support base, and consolidate the families and friends of those beyond these walls. Social Media allows us to strike back and have our voices heard via our loved ones who have computers, and expose the age-old dirty practices of the MDOC. · Carl Ashley, #136985, he is the lead paralegal, he will be writing and formatting the brief, and in the past has won a few suits against the MDOC. He is well known throughout the system. He is a Lifer, and well-respected by inmates and staff alike. · Josh Puckett #250645 will be assisting with any Oral arguments, as well as handling media relations so we can keep the buzz going and grow positive support for our position. He is a Lifer who is well known throughout the system for using Social Media to grow support for his Commutation. (See http://freejoshpuckett.com. ) He is serving on the Warden’s Forum, and is well respected by Staff. He works closely with C. Bachus, to create the sites, and stay in contract with the outside groups and media contacts. · John English #174718 works with Carl in legal research and analysis of the Bills, and as well as prisoner relations. He will assist also at trial. 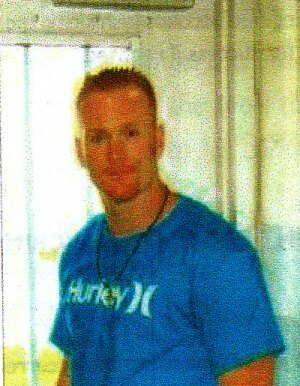 He is also a Lifer who is well respected by Inmates, and seen as an agent for positive Change on the Warden’s Forum. · Michael Cheatham-Bey #172290 also assists with obtaining legal documents and provides needed insight into our legal strategies. He only has four more years left, but is still willing to stand against this injustice by the MDOC. He is well respected by his fellow inmates and staff alike. · Anthony Fawcett #183991 is also a well known “Legal Begal” who got involved with the fight after starting a previous suit against the MDOC on behalf of another inmate who was not being allowed to call his family in the Middle East. He has detailed knowledge of the last phone contract as well as Michigan Compiled Law (MCL). He has argued in court on behalf of himself in a previous lawsuit against the State. He maintains a good relationship with staff and inmates alike. · Jerry Lashuay #176424 helps with media relations as well as legal analysis. He is the Co-Founder of Juveniles Against Incarcerations for Life (J.A.I.L.) He has a good relationship with staff, works on the Warden’s Forum and is also currently pursuing a Commutation. · Yadira Hiciano: she is an experienced paralegal living and working in New York. Her firm is a real estate law firm but her skills allow her to assist in finding obscure laws, researching the Bills, and providing insight into team strategy. She is a good friend of Josh Puckett, and the site administrator of http://freejoshpuckett.com. Being from New York, she saw this same company kicked out of New York and replaced with a far cheaper system where calls are approximately $1.30 for 30 minutes. · C. Bachus is the free world lead for media relations. She is the significant other of a Lifer, and a well-known community organizer in the fight for fair phone rates. She blogs on behalf of the Coalition and works closely with Josh Puckett to get the word out and write the families and friends of the inmates. She is also the Administrator for the Facebook page. We are currently looking for a few more family members, as well as someone from the women’s prisons to add to the team. These men and women deserve their recognition for all the long hours of work they are doing to right this wrong. They are the ones who will have to pay the filing fees and who will suffer the staff retaliation when this is filed. All of them have given me the o.k. to use their names. We hope by putting their names out there it will curtail future retaliation. As well, showcase the diverse group of people working on this cause, thus inspiring hope in those waiting for this to be corrected. They also deserve our thanks for all they are doing and have done on this road. It will be a long road to come. The MDOC will not easily relinquish the $787,000 a month that they are making [from the Special Equipment Fund of the PCS contract].We expect this fight to take 7-10 months, so we are also asking the court for an initial preliminary injunction to lower the rates back to the Embarq rates of 10-15 cents a minute, which will still make the MDOC $350,000 per month at the minimum level of minutes listed on the contract sample payout chart. If the court grants this it will give some relief to the inmates and their families until the suit is resolved. So, we have a plan, now we need to get that plan public support, we need to get these websites out there, and we need to get support for our team. We may even need to raise funds if the cost of this suit gets too high. We would even love to have a real Lawyer to help us,but the fact remains if you want something done right you must do it yourself. I HAVE BEEN COMING HERE ABOUT 1 YEAR NOW DOING 12 STEP WORK. I AM STUNNED AT WHAT I SEE DEALING WITH THE LAW HERE. REHAB FOR THE PRISONER THROUGH MDOC IS A TOTAL FARCE. WHAT I HAVE ENCOUNTERED MAKES ME WONDER WHO THE REAL CRIMINALS ARE IN RESPECT TO LEGAL THEFT. THE EXAMPLES I HAVE HIT STUN ME. WHERE IN AMERICA ARE THE LEAGAL AND POLITICAL MEN TO FIGHT THE OPEN CORRUPTION THAT I PERSONALLY SEE, READ ABOUT AND VIEW ON TV? I HAVE NEVER ENCOUNTERED THIS DEGREE WHERE I COME FROM AND AT 75 I HAVE A BIT OF HISTORY BEHIND ME. WHAT HAPPENED TO THAT BOSTON TEA PARTY THAT TOLD THE BRITISH WHAT THEY THINK OF POLITICAL DOMINEERING? WHERE ARE THE JOHN WAYNES, THE ABE LINCOLNS, THE TEDDY ROOSEVELTS? NOW KNOWN SENATE INSIDE INFO TRADING IS ACCEPTED. COPS WHO IGNORE MEDICAL MARIJUANA USE LEGALLY STATEWISE ARE GUILTYY OF TRAFFICKING ACCORDING TO FEDERAL LAW? CORRUPT OFFICIALS GIVEN PARDONS? A DUI PARTY IS TETHERED AND MADE TO REPORT 30 MILE AWAY 2 DAYS A WEEK WHILE A MAJOR CRIMINAL ON PROBATION ROBS, IS CAUGHT AND A JUDGE NOTIFIED BUT IGNORED IS ALLOWED ON THE STREET TO KILL A 12 YEAR OLD? THE 2 PROBATION OFFICERS ARE SUSPENDED (WITH PAY NO DOUBT TO BE RELOCATED AND REINSTATED). THE JUDGE IS OBVIOUSLY OVERWORKED AT $250,000 PER ANNUM. AND SHYSTERS LIVE OFF OF CRIME AS LEGAL CRIMINALS. AMERICA! WHAT HAS HAPPENED TO YOU? I LAUGH AT THE BORDER PATROL WHEN THEY ASK IF I AM TRYING TO BECOME A CITIZEN. SO WITH ALL THAT I EXPERIENCED IN 1 YEAR HERE I AM HOPING MAYBE THEY WILL BUILD THAT FENCE FROM COAST TO COAST YOU TALK ABOUT. TO STOP THE INFESTATION I WORRY ABOUT HERE COMING THERE. I HAVE HAD TO ABANDON AN INMATE HERE. I COULD NOT FIND OUT IN THE 1 MINUTE TIME HE HAD TO ASK FOR HELP WHO TO ACCESS TO GAIN METHODS OF COMMUNICATING. SOME OUTFIT WANTED $25 UP FRONT AND AN $8.95 SERVICE CHARGE. BUT I MIGHT BE BUYING THE WRONG JAIL AND NO ONE CAN TELL ME WHICH ONE. REHAB? REHAB? HOW ABOUT YOU REBELLING, CITIZENS OF AMERICA. PUT SOME OF YOUR LEGAL CROOKS BEHIND BARS FOR REHAB. EVEN YOUR PRESIDENT WAS AFRAID OF J.EDGAR HOOVER. THIS IS NO LONGER THE LAND OF THE FREE. UNLESS YOU ARE THE LAW OR A POLITICIAN. Diane, You are awesome for putting this out for the public to see!